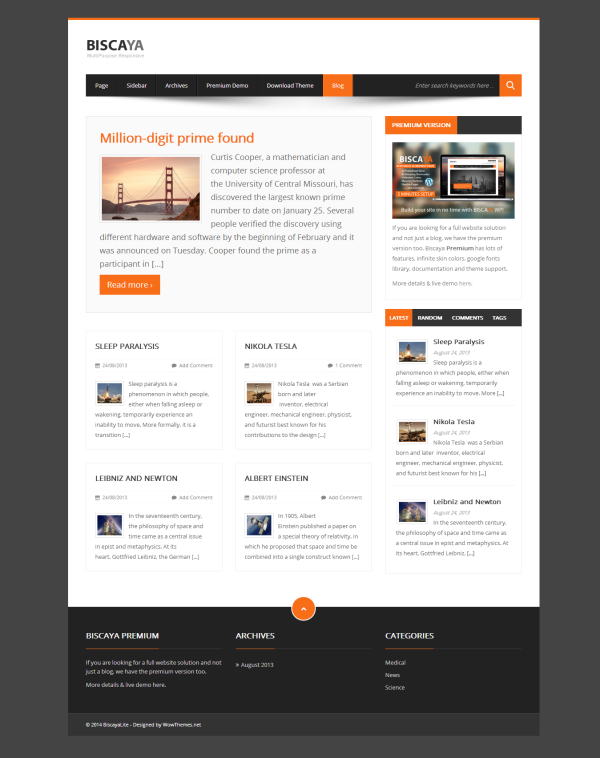 Responsive multipurpose WordPress blog with clean and modern design, nicescroll,masonry posts, sidebar areas, BiscayaLite will make your website look like a pro. The premium version is also available here with tons of options, shortcodes, google fonts, infinite skin colors, layouts and much more! 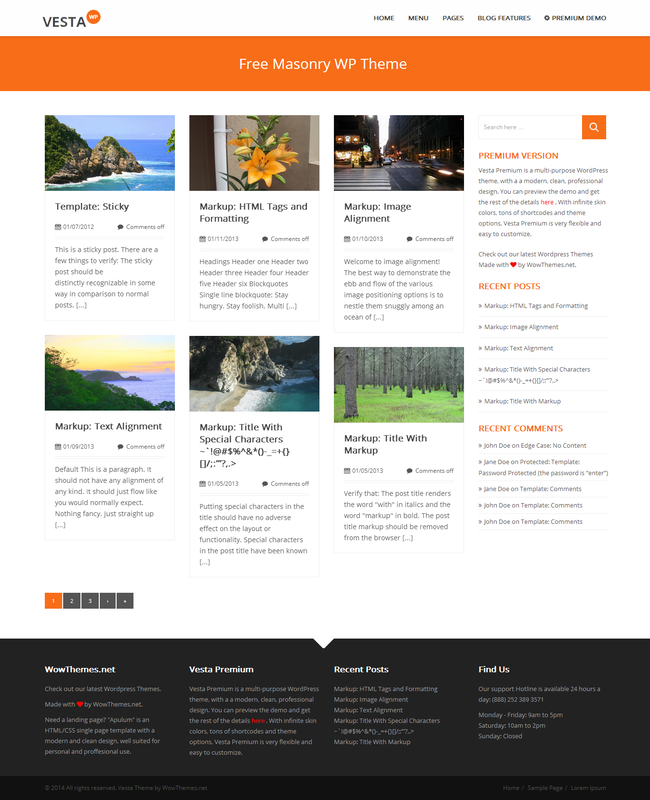 Free WordPress Theme by WowThemes.net. Responsive multipurpose blog with clean and modern design, nicescroll, fixed header, masonry posts, sidebar areas, VestaLite will make your website look like a pro. The premium version is also available here with tons of options, shortcodes, google fonts, infinite skin colors, multiple homepage layouts, animations and much more!